Released on September 5th, 2009; The Epson WorkForce 1100 is capable of dishing out inspiring brochures and routine spreadsheets and projects to give your business a professional edge. The printer is has impressive print speeds and offers double performance compared to other printers. The unique printer produces vibrant color material that can be poster-sized. The Epson WorkForce 1100 stands out from traditional printers and is ideal for most businesses and home offices involved in marketing, photography, brochures and graphic images. Images preserved for up to 100 years with light resistance technology. You will be able to keep photos and documents in your family for generations to come. 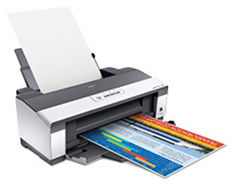 The Epson WorkForce 1100 has four features; print, photo, scan, and copy with wide format printing. It prints up to 28-30 pages per minute with black ink. Color documents print at 15-20 pages per minute depending on the complexity and size of images. Quality documents with black ink will show up to 10-15 pages per minute and color documents take up to 3-6 pages per minute. The printed images fade, water, and smudge resistant to ensure the documents' protection in their quality. The quality preserves regardless of moisture, humidity and water spills. The quick-drying prescription permits you to manage the documents instantly. You do not want to worry about smudging the photos if you hold the documents immediately after printing. Demonstrated by owners, the printer engineered for most businesses is easy to install on any computer. The Epson WorkForce 1100 is only 26.3 pounds. It is easy to implement and put in any environment. The printer is almost universal for any operating system. Common operating systems the printer is compatible with are Macintosh, Windows 2000, Windows XP Professional x64, Windows XP, Windows Vista, and Windows 7. More information located at www.epson.com/support/snowleopard at which details the Snow Leopard operating system requirements. The software includes the Epson printer driver, and Web to Page & Epson Easy Photo Print. The power consumption of the printer is energy star compliant; when in sleep mode it only consumes 1.3 watts, and in normal operation it only consumes 26 watts. The printer cost effectiveness is known by the price of the electric bill. The Epson WorkForce 1100 printing resolution is at a maximum of 5760 x 1440 dpi optimized. Paper types compatible are Matte Scrapbook Photo Paper, Ultra Premium Presentation Paper, Premium Presentation Paper, Presentation Paper Matte, Premium Photo Paper Semi-gloss, Ultra Photo Paper Glossy, Premium Photo Paper Glossy, Photo Paper Glossy, Epson Bright White Paper, and Plain paper. The clarity and visual appeal of your media, pictures, and charts will be detailed and in full color. The maximum paper size supported is 13 x 44 inches. Envelopes supported are air mail, Bond Paper, C6, DL, No. 10. The tray function can hold a decent amount of 100 sheets and 10 envelopes. You will have to get a USB line because it is not included with the package. The Epson WorkForce 1100 does not contain a duplexer. You have to manually print two-sided documents. Print times will vary, and factors such as display conditions, light intensity, printed images, media, temperature, and other atmospheric conditions will affect the longevity of print times and maintenance of printed documents. The Macintosh operating system often limited in the functions and apps and may not support two-sided printing. Faxing is not supported with the printer. Paper handling, as demonstrated, is limited for the Epson WorkForce 1100. Wireless connection and web handling is not an option. Review it: "Epson WorkForce 1100 "
DURABrite Ultra Ink offers innovative pigment-based colors that allow businesses the image value they need. 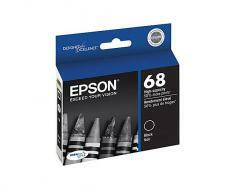 The color and black ink is affordable to many individuals. 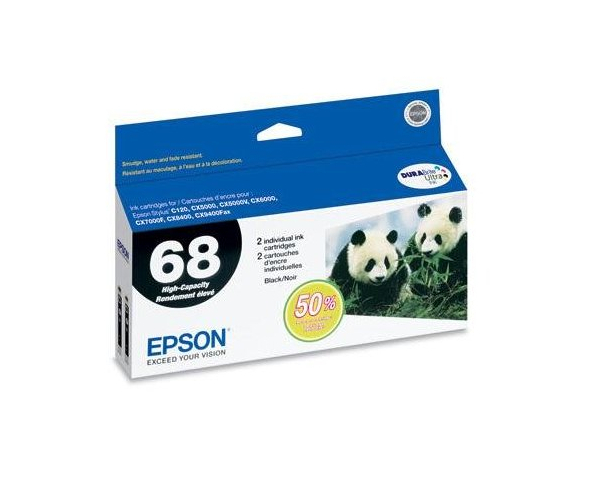 You may obtain high-capacity or standard printing ink cartridges. End-users can flexibly control their ink usage through the app settings. Replacement cartridge for Standard-Capacity is available in yellow, magenta, cyan and black (two black cartridges needed). For High-Capacity printing, you can use yellow, magenta, cyan and black (two black cartridges needed). To configure your printer for optimal performance, you will need five separate cartridges.